This is a CC-by-sa 3.0 compatible article. 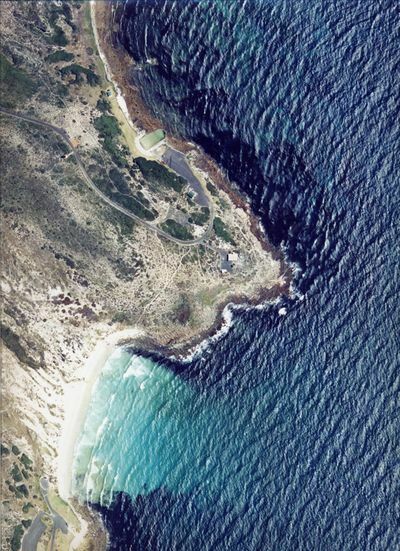 The dive site Bordjiesrif is a shoreline rocky reef in the Buffels Bay area on the False Bay coast of the Cape Peninsula, near Cape Town in the Western Cape province of South Africa. Winter dive area, though also dived in summer when conditions allow as it is popular as a snorkelling site for Rock Lobster. Exposed to south easterly winds and waves, and access could be tricky through surf. Adequate paved parking. Parks Board facilities are usually clean and well maintained. Normally a shore dive, but there is a slipway at the site. There is an entrance fee to enter the Cape Point area of the National Park. Extensive kelp forests and a popular Kreefing spot. No site specific hazards known. This page was last edited on 26 October 2010, at 07:17.